This uses a magazine freebie stamp that I've had for years, but until I got a Misti I could never get a clean image from it. Now it stamps like a dream! It's a lovely image to colour as it looks so very different when you vary the colourways, and this time I've used Promarkers chosen to roughly match the colours for this month's House of Cards challenge. Gorgeous card Jane - well worth hanging onto the stamp! Now we’re back in the house and almost sorted (contents of two homes into one causes a few logistic problems) we must arrange for you and Mark to come for coffee, it’s only about a year ago that we were talking about it! Isn't it great when you get a tool like the Misti to give you such great images. I love how this one works. Pretty good for an old freebie stamp. Nice pattern and design and it's so beautifully coloured. You did a great job with the colour challenge on this one. 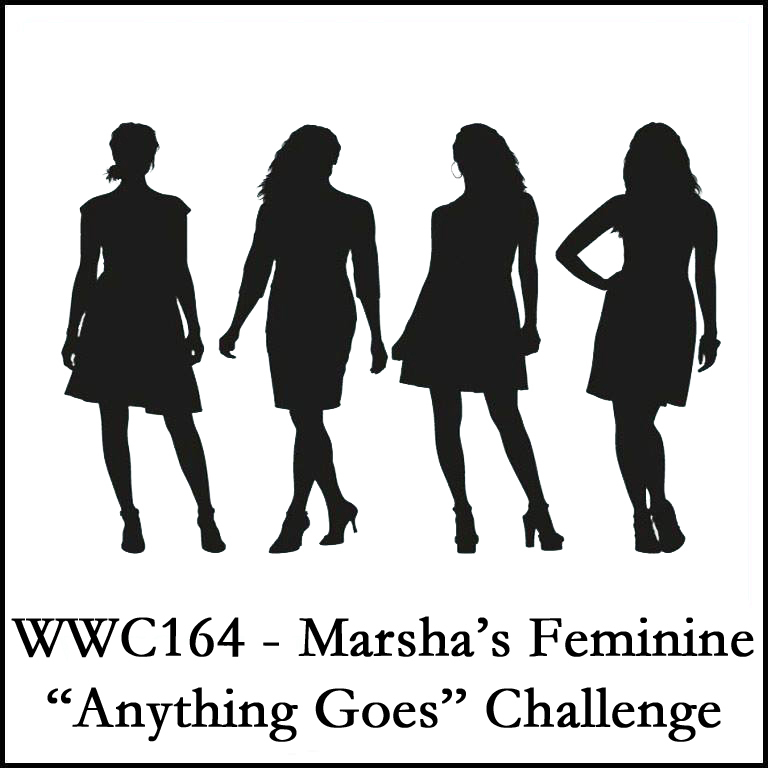 Thanks for sharing your beautiful card with us at the "Feminine" Anything Goes challenge at the Watercooler this week. Beautiful card, Jane! I love the bright colors in the corner surrounded by all that pretty crisp white! Beautiful! Wonderful card. Love the CAS style. Thanks for playing along with us at our present challenge at Craft Rocket and good luck! Hope you will join us next month again. 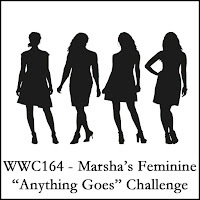 Back to Basics - a brand new challenge!